As Ginosi prepares to set out in new directions (soon to be announced), we decided to take a look at how we got here. This is the first in a three part series on how we came up with our signature product: The Apartel. “last onder bestuursdwang gasten hotelmatig gebruik” read the sign posted on the doors of Ginosi’s short-stay apartments in Amsterdam. 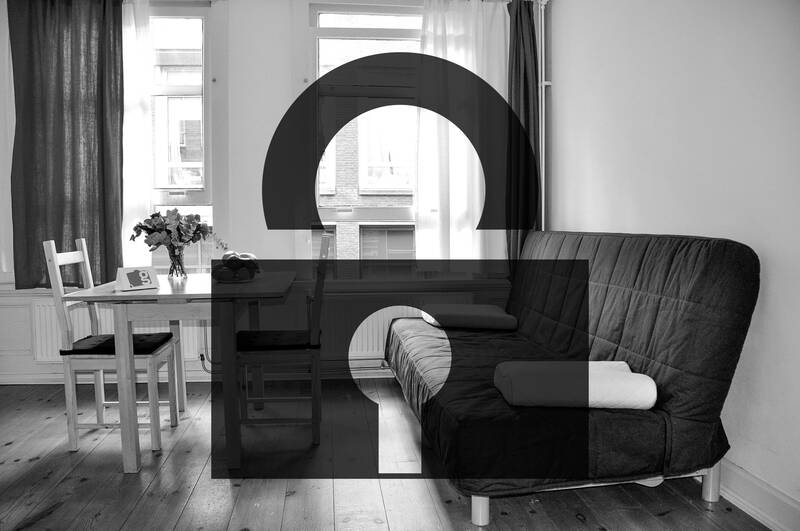 What began in 2011 as Ginosi’s first foray into the international short-stay scene, ended with Dutch authorities shutting down the short-stay apartments. Although this might seem like bad news, it really signals all of the factors which have Ginosi looking in a new direction moving forward. With vacation rentals making up 20% of the US lodging market as of 2013 and booming markets for vacation rentals around the world, short-term rentals are big business in the travel industry. Ginosi came early to the party and leveraged its tech-savvy heritage as an Online Travel Agency to begin expansion in the short-stay apartment world. Since 2011, Ginosi grew from a few apartments in Yerevan, Armenia and Amsterdam to an astounding 328 apartments as of posting. But as business grew, so did regulations like those that have forced Ginosi to close the apartments in Amsterdam. Some regulations limit the number of short-term apartment rentals in given neighborhoods. Other regulations, such as those in Santa Monica, CA, have all but outlawed the vacation rental business model. Many cities are now considering regulations that favor smaller owners who have a single room for rent, shutting out businesses like Ginosi. This left us at the current crossroads. The old model of renting a scattering of apartments or even multiple apartments in the same building is becoming more and more difficult. Marketing materials and our presence on OTAs leave some guests expecting the concierge service of a hotel, which is also difficult to provide under our existing model. All of these factors have led to the development of a new business identity. An identity that leverages existing systems with a new format: the Apartel. Ginosi’s journey actually started with an extra bedroom in Amsterdam in 2011. The idea began with just a room renting out extra space as a bed and breakfast with superior guest experience. This included fresh, handmade bread accompanied by a full breakfast, which paved the way for walking tours and even personalized trips to Amsterdam’s best locations. Alongside this bed and breakfast, the two decided to begin an Online Travel Agency (complete with a fancy logo), focusing on the small Caucasian nations of Armenia and Georgia. Since major contenders such as Expedia and Booking had not yet entered the market, they saw a clear opportunity there. Guests, partners, and even staff in Armenia began to accumulate. The Yerevan staff, soon to be known as Ginosiks, helped with customer experience and began building a technology backbone to support the ‘Online’ part of the travel agency. But even with the growth, cracks with the model began to show. Complaints from both hotels and guests began to roll in. Guests began to arrive at their booked apartments only to find that they were not available. Some partners refused to pay the agreed commissions. Other partners would cancel reservations at the last minute, leaving the company with homeless guests. To make matters worse, one partner, the Kirovakan Hotel, began booking dozens of rooms through Ginosi. On the surface this seems positive, until they started to receive a wave of chargebacks from European banks related to the hotel. While investigating the chargebacks, they found the ‘guests’ to be the unexpecting victims of credit card fraud. When the local authorities in Armenia were consulted, the only response was an investigation of Ginosi and not the fraudulent hotel. All of this left the company searching for a better way to move forward.